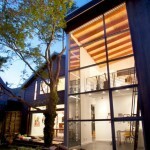 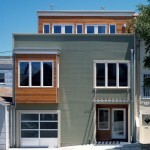 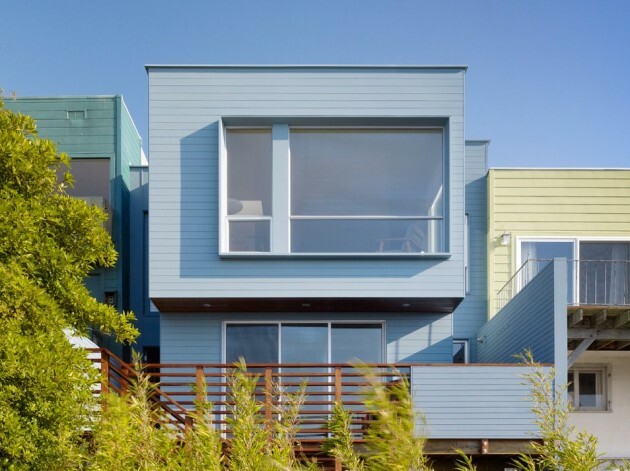 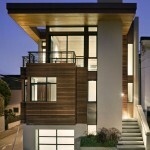 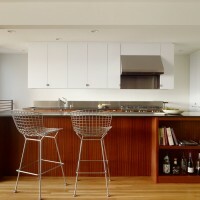 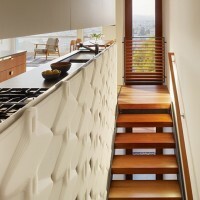 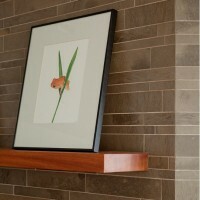 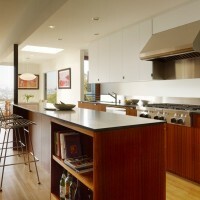 Schwartz and Architecture designed the remodel of a 1950s house in San Francisco, California. 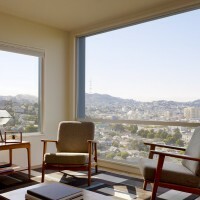 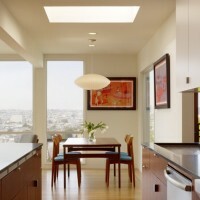 With little to work with but the potential for wonderful light and views, we have given this 1950’s Bernal Heights residence an expansive feel that belies its limited square footage. 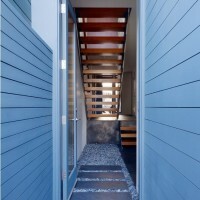 Key to our design is a new staircase (strategically placed to accommodate a future third floor addition), which transforms the entryway and upper level. 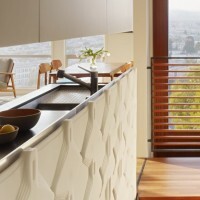 We collaborated with Andre Caradec of S/U/M Architecture on the design and fabrication of the unique guardrail. 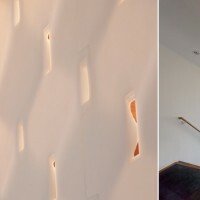 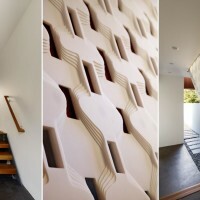 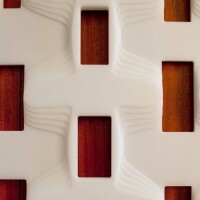 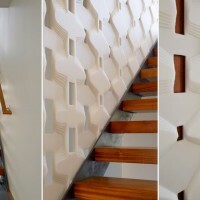 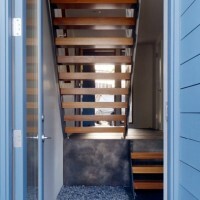 The pattern is the result of many considerations: a desire for the perforations to modulate relative to eye level while ascending and descending the stair, the need for a lightweight and self-supporting structure, and, as always, the complex dynamic between design intent, constructability and cost. 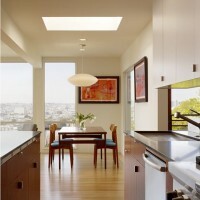 Visit the Schwartz and Architecture website – here.